LARGEST SELECTION of discounted Walker Boots Night Splints, Plantar Splints, Night Splint Wraps, Plantar Faciitis Wrap Splints, Plantar Faciitis Supports, and Plantar Facitis, Air Walkers, Walker Braces. LOWEST SHIPPING COST GUARANTEED. 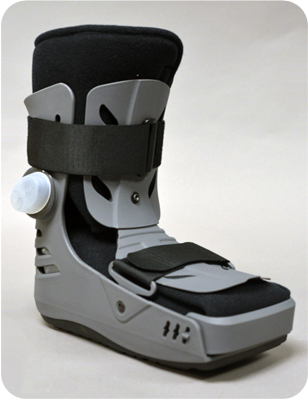 Closed- Toe Walker Boot. Keep your foot clean and covered. Individually controlled air bladders secured between the liner and plastic shell remain stationary while providing compression and support. Built in pumps provide ideal compression, are easy to operate; quick inflation and deflation and help provide custom fit. Rocker Bottom promotes a natural and stable gait. Textured tread creates a non-skid sole and provides shock absorption. 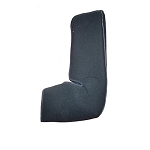 Wider footbed helps accommodate swelling and bulky dressing.